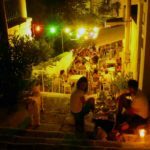 The traditional tavern “Ta Skalakia” is located in Andros Town, in a beautiful alley just after the church of the Virgin Mary. 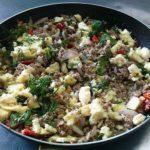 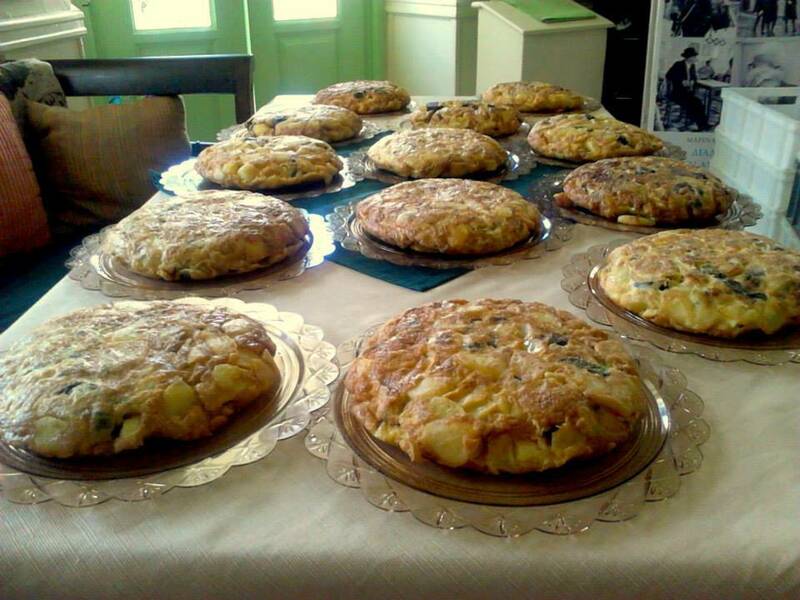 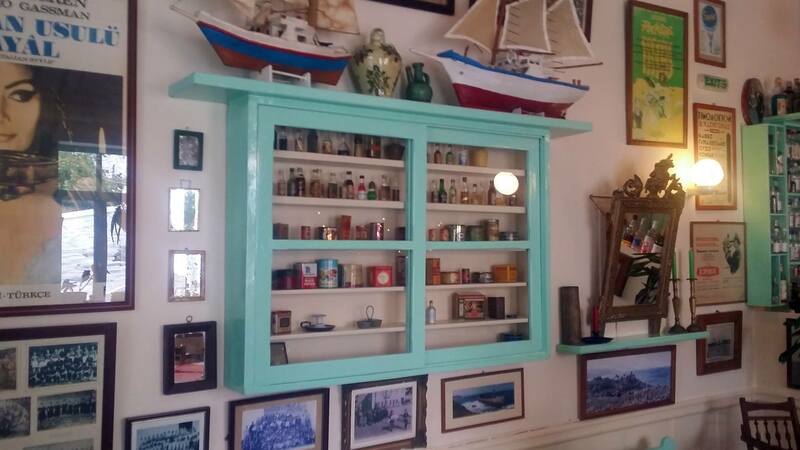 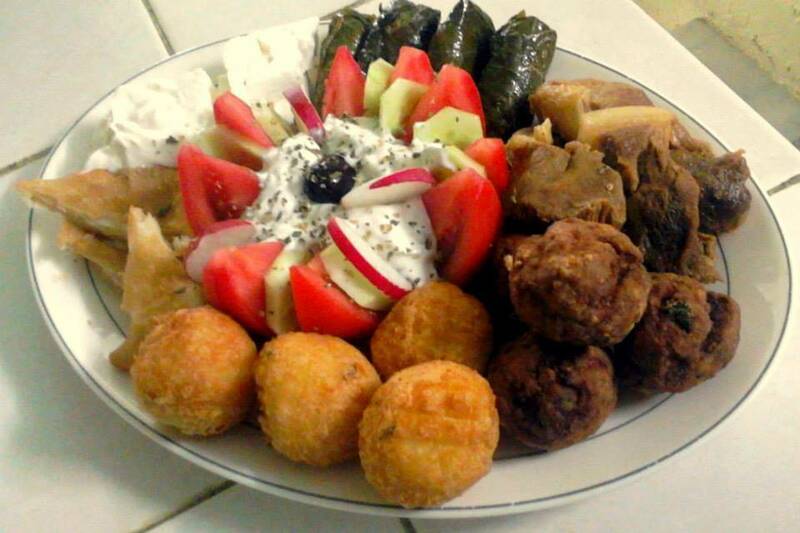 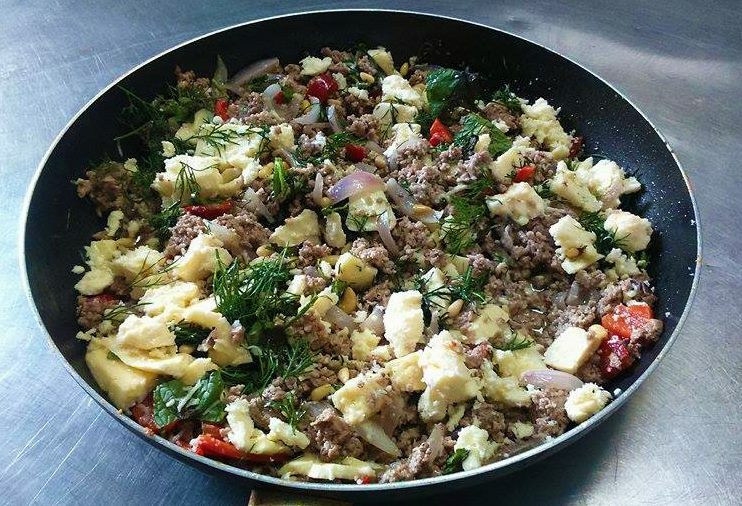 Meet the local cuisine of Andros through the traditional homemade flavors of Mrs. Charikleia. 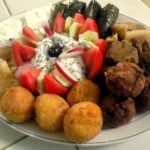 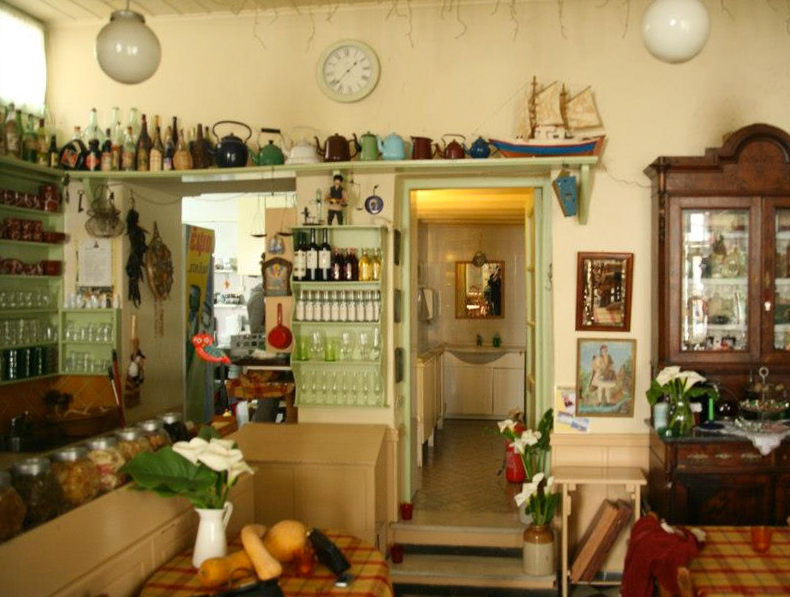 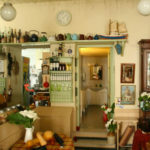 In the cute small tavern, Mrs. Harikleia and her family are preparing daily delicious appetizers based on the recipes of the rich cuisine of the island. 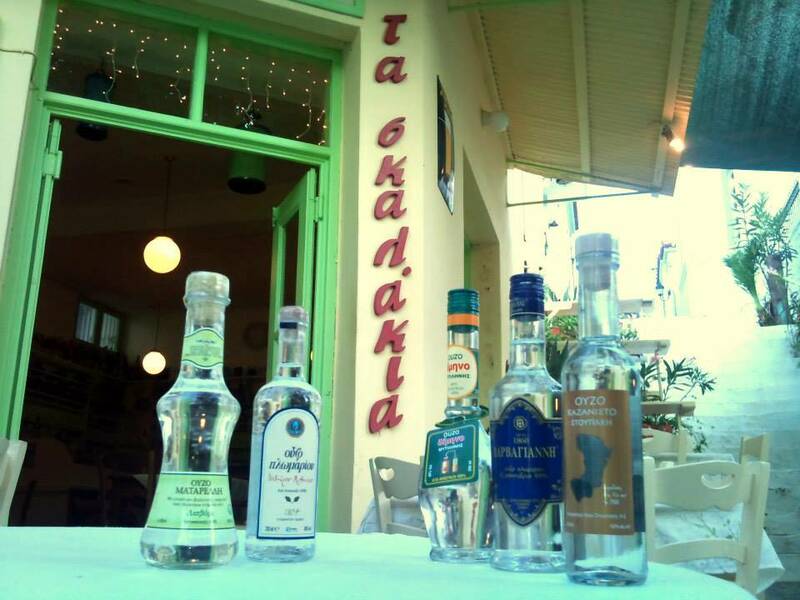 The award-winning “Fourtalia” of Andros, salads combined with the distinct local cheeses, delicious meatballs in a variety of flavors and ouzo make up the backdrop of your gastronomic enjoyment. And all of this in a very carefully designed place that maintains the tradition of the old taverns and the unique Cycladic color of the island. 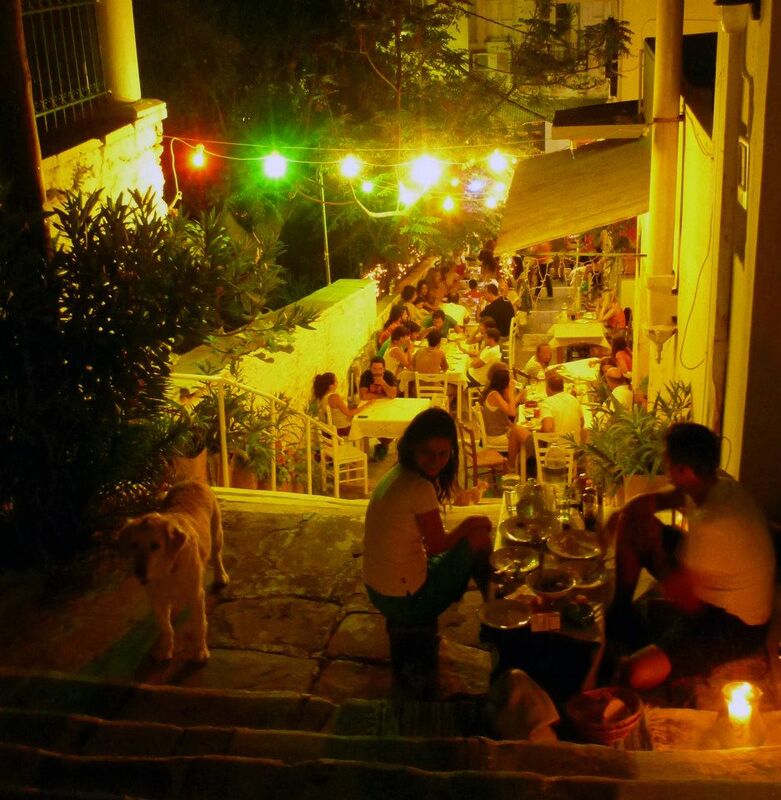 Choose one of the tables in the picturesque cobbled path below the trees of the church’s park and taste the traditional dishes gazing the central paved road of Andros Town.